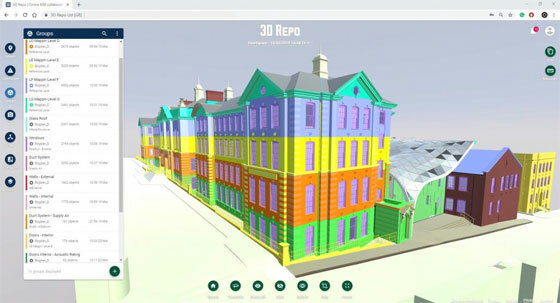 3D Repo offers the cloud based digital platform for BIM data so that the users can availa the latest 3D models and produce real-time changes and informed decisions online. 3D Repo introduced the most updated version of its cloud-based digital construction platform with some exciting features like data validation with Smart Groups, native Revit file support, updates to SafetiBase (Health & Safety Issue Tracker), API key access, and supplementary rendering options. With the inclusion of Smart Groups feature the users can get a simple way to authenticate the data and group model components. “Smart Groups democratizes the method of data validation, makes progress tracking simple and finally leads to more consistent data outputs for the client. Besides, it opens up the data validation method to all stakeholders despite of their knowledge of software or licensing constraints of other software. 3D Repo now contains native Revit support so that the users get the ability to upload Revit files directly to the 3D Repo platform where they will be easily controlled in an online database and applied in federations for design coordination. It will save users significant hours of time while federating models with each design iteration. Earlier the users had to export to IFC file format prior to uploading, now it is possible to just upload files directly from Revit. SafetiBase feature offers a collaborative way to allocate and utilize health and Safety information and project risk data within the model and it is also upgraded. Major updates comprise of a full audit trail of changes for each risk, supplementary post mitigation risk options, capacity to add and track residual risk and support for several markups. SafetiBase adheres to the specification for ‘collaborative sharing and application of structured health and safety information with BIM’ (Publicly Available Specification PAS 1192-6). Revit® to Kineo™ is a technology presentation for Autodesk® Revit® supported with the Siemens Kineo™ software to work out the paths necessary for shifting an object within a building model. It facilitates you to visualize the transition of the object along the estimated path in a 3D animation. • Choose an object to move. • Choose obstacles to circumvent. • Establish the parameters of the model and the obstacles. • Arrange the start and end points of the path. • Adjust or smoothen the resulting path to obtain the optimum length. • Export the path to Revit for animation. • Play or reset the animation, step it backward or forward in Revit. • A separate Kineo license. For online demonstration of Revit to Kineo, watch the following video tutorial. To apply for the Revit Technical Coordinator position, the candidate should have at least three years’ experience working in a design and/or construction firm or a similar in college courses. A bachelor’s degree in engineering, architecture or interior design or similar clinical experience is desired. Previous experience or knowledge with medical equipment, and/or equipment planning is also desired. This position needs constant communication (phone, email and in-person) and collaboration with program managers, architectural firms, engineering firms and contractors. It is a crucial support position for a team of equipment planners and needs attention to detail. The Revit Technical Coordinator should have good computer knowledge in Revit, AutoCAD, Bluebeam and Microsoft Office. Individual should be a ambitious person who has the ability to learn, understand and utilize patented and custom software applications. Besides, individual should contain outstanding oral and written communication skills, a strong detail-orientation, motivation and the aspiration to grow and accept extra liabilities. Outstanding organizational and multi-tasking skills are also necessary. The Revit Technical Coordinator will exhibit the capacity to understand, prioritize and effectively accomplish assignments and satisfy project deadlines. The main liability of the Revit Technical Coordinator is to create perfect equipment drawings in Revit with the equipment list supplied by the internal equipment planners. It involes updating the Revit medical equipment families to project specifics, arranging them onto the drawings, setting up sheets for Design Development and Construction Document submittals, QA/QC of drawing documents with equipment list and different drawing coordination during the design phase. Support activities comprise of equipment planning, procurement assistance and project management tasks as required by senior team members. 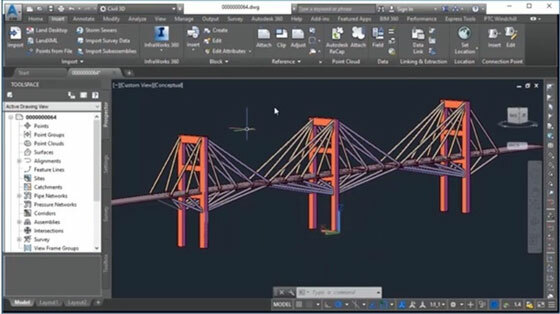 Autodesk has launched the most updated version of AutoCAD, AutoCAD 2020. In this newest version, there are lots of few new tools, improvements, and quality of life enhancements to make AutoCAD a perfect tool for next generation. Some exciting features are added which range from a new dark blue interface theme, a new Quick Measure tool to dynamically demonstrate dimensions, distances and angles while moving the cursor over the drawings. With the new blocks palette enables, the users will be able to observe a gallery of blocks and drag and drop them onto their drawings. Some existing AutoCAD tools are also upgraded for the new version which contain DWG Compare and the Purge feature. DWG Compare now facilitates the users to compare two versions of a drawing devoid of departing from their active window, and the new toolbar facilitates the users to rapidly switch the comparison on and off. The Purge feature is redesigned with a visual preview and a “Find Non-Purgeable Items” button, complete with a panel explaining why certain items can’t be purged. AutoCAD 2020 also offers new integrations that assist Box or Microsoft OneDrive users to open DWG files directly in the AutoCAD web app. The will be able to save their updated files to Box or OneDrive devoid of departing from the AutoCAD app. Lastly, AutoCAD 2020 is provided with standard performance enhancements, along with save times which are a second faster and install times which are expedited by 50 percent on solid-state drives. To get more details, go through the following video tutorial. 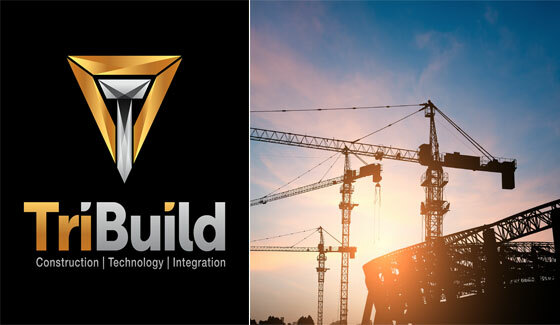 TriBuild, Inc., a leading solution provider of software-as-a-service (SaaS) for the construction industry, just launched TriBuild Layout Design, a layout data preparation software for most recognized Autodesk tools, AutoCAD and Revit. Contractors recognize major locations to set out on a jobsite with formation of points at these locations on the building design which are then uploaded to a field controller for doing layout. This data preparation plays an important role for field layout and successful completion of the project. Common locations for layout range from hangers, sleeves, equipment, centerlines, footers and walls. With formation of points at these locations, field layout crews can obtain proper instruction concerning what work should be accomplished in the job site. 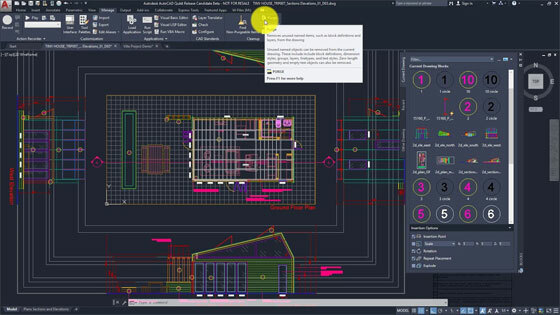 Some exciting features like automated point creation tools in TriBuild Layout Design and ability to generate points directly in Autodesk design application, facilitate the contractors to make their overall workflow better for generating data for layout. 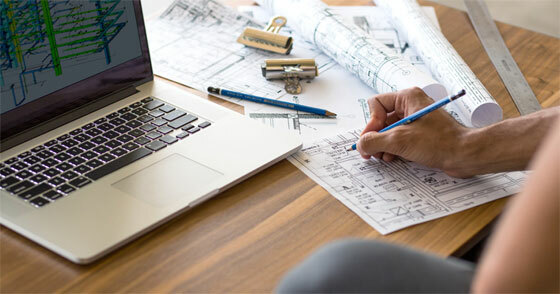 The contractors get the ability to work directly in their design application and consequently they don’t have to worry about issues caused by the compatibility of file formats. TriBuild Layout Design is accessible for the contractors who utilize AutoCAD or Revit (versions 2016-2019) and export data to all the leading instrument manufacturers including Trimble, Hilti, Leica, Topcon and Sokkia. A 30-day free trial version is available to download from the TriBuild website. JSFA, an award winning firm that deals with programming & design of new restored and renovated Educational/arts/entertainment/facilities, is inviting applications for a Revit Designer/Revit Architect for their Los Angeles office. The candidate has to perform project BIM modeling from start to finish as well as organize the design and technical detailing via BIM modeling and Revit rendering. • Sound knowledge in AutoCAD. To apply for the post, send your resume work samples to hr-la@jsfarchs.com and email subject line as Revit Designer. 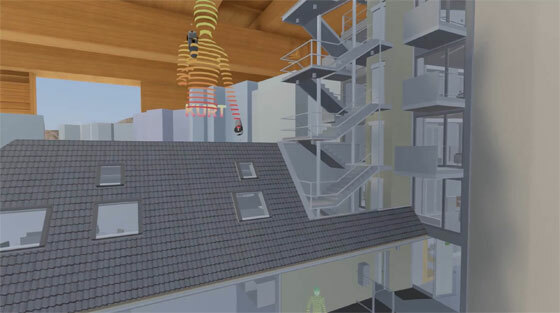 The Wild, a new and innovative virtual reality software has introduced a new Revit Add-On feature (still in testing phase) to facilitate the Revit users to have a direct path to this innovative VR solution. 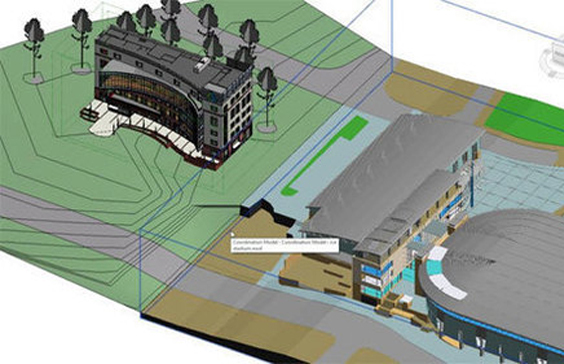 The Wild is supported with the cloud-based immersive collaboration platform, The Wild, now provides support to the designers and architects who perform with Autodesk Revit so that they can deliver their BIM models directly into The Wild for collaboration.. The new feature will automatically generate a collection of assets from the components of the Revit file, simplying the workflow from Revit to The Wild. Collaborating on spatial designs in 2D normally becomes complicated since not all professionals and clients have the ability to understand the spatial definitions and requirements of real buildings under design and construction. With Wild, all the project stakeholders can virtually populate a planned space as a team and collaborate and understand spatial designs together. Wild allows the Revit users to make more effective communication as well as more confident decisions, and better align teammates and expectations for the job. Streaming your Revit models into The Wild for illustration and assessment will basically reanalyze expectations for the design process. After shifting from visualizing ideas to experiencing them, new levels of comprehension and alignment can be obtained, expanding our strength to discover and focus on the best solutions in the initial phases of design all the way through construction.